Welcome to our advanced mortgage repayment calculator. 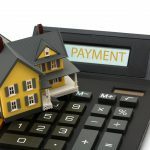 If you want to know what your mortgage repayments might be, how much you need to pay to pay off your mortgage early or what impact a change in interest rates might have on your repayments then you have come to the right place. Our mortgage repayment calculator will give you all these answers and more. Once you have mastered our mortgage calculator you might also want to take a look at our mortgage simulator to see how your repayment might change over time. The mortgage repayment calculator is designed to give you an indication of the likely level of repayments on a mortgage. It is not a promise of a mortgage or a guarantee that any particular lender will quote exactly the same figures.